A diverse region in terms of cultures, Southeast Asia is a big multicultural hub, integrating different beliefs and hosting some of the world’s dominant Islamic, Buddhist, and Christian states. According to the Pew Research Center, Southeast Asia hosts 253 million Muslims who account for 16% of the world’s Muslim population. Among 11 Southeast Asian countries, Indonesia has 202 million Muslims, making it the largest Muslim country in the world. The Philippines has the 5th largest number of world Christian population with 86 million Christians, and 99.6% of the population of Timor Leste practise Christianity. Based on the report of the US Department of State in 2010, Vietnam and Thailand ranked 3rd and 4th respectively in the world in terms of the number of Buddhists. Although Southeast Asia houses such a large number of spiritual beliefs and practices, peaceful interactions and coexistence have been the norm until intolerance, secular values and misguided-nationalism changed the moral landscape. The lack of cross-cultural understanding often results in cultural insensitivity, and leads to social conflicts. It is crucial, therefore, to promote cross-cultural understanding and dialogue among Southeast Asians in order to achieve unity, peace, and sustainable social development. Countries in Southeast Asia are working to enhance mutual understanding and respect through political, social, and, most importantly, educational means. Since spiritual beliefs are communicated through and expressed by arts, one way to gain a better understanding of a culture is by disseminating the knowledge about its arts. As a result, institutions with educational mandates in the region, including schools, universities, and museums, are the providers of the knowledge about different cultures and beliefs. Museums usually display collections of different spiritual beliefs, and art history lessons are given at schools and universities along with other subjects. However, it has been noted that the personnel working with spiritual/religious collections, and teaching spiritual/religious arts, sometimes lack the necessary knowledge and experiences to properly deal with the collections, or to disseminate the relevant information to the public. There is also a concern about the misinterpretation, misrepresentation, and mistreating of religious and spiritual heritage by cultural and educational institutions, which are possible causes of cultural and social conflicts. 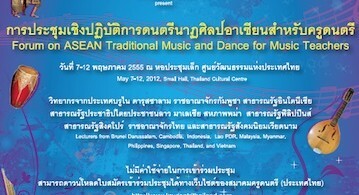 In order to promote a better understanding of spiritual/religious arts in Southeast Asia, through its innovative “Sacred Universe” Flagship Programme, SEAMEO SPAFA will conduct a series of regional workshops from 2012 to 2016 on the spiritual arts of the ASEAN region. They will encompass the study of the arts of the major religions and spiritual beliefs in the region with the aim of furthering cross-cultural understanding and exchanges of knowledge among participants, who will become part of a network of experts in Southeast Asian arts who share the spiritual values of these traditions as expressed through both old and new works of art. 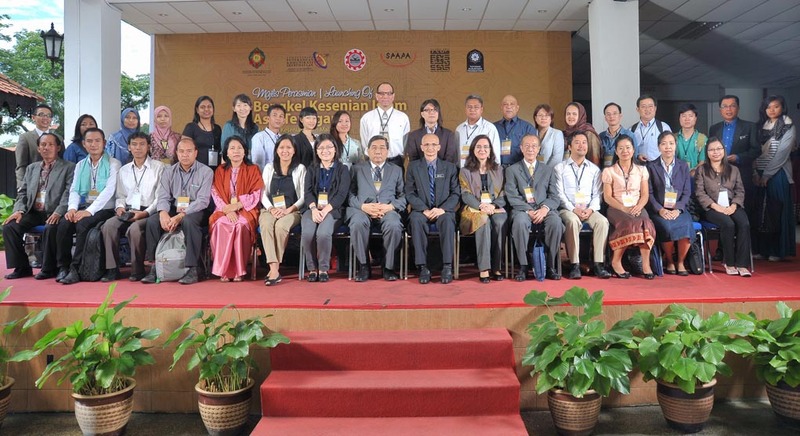 Furthering professional competence in the fields of archaeology and fine arts through regional programmes and activities has always been one of the main objectives of Southeast Asian Ministers of Education Organization Regional Centre for Archaeology and Fine Arts (SEAMEO SPAFA) for the past 25 years. As efforts at building economic and social communities and regional integration in the ASEAN region are accelerated, gaps in the understanding of the various fundamental aspects of Southeast Asian diverse cultural and spiritual roots are clearly visible. Material culture has overtaken spiritual values that have guided the peoples in the region for centuries. It has become necessary to restore the balance between material well-being and spiritual needs in order to reduce social and economic conflicts caused by ignorance and cross-cultural misunderstanding. As beliefs and practices of the main religions of Islam, Buddhism and Christianity, as well as the indigenous and other Asian traditions, form the core of the peoples’ lives in the Southeast Asian region, they should be better understood by all, especially educators and professionals in the fields of cultural heritage and fine arts. 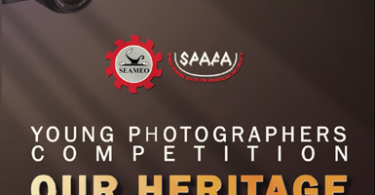 For these reasons, SEAMEO SPAFA has established a Flagship Programme entitled “Sacred Universe” to support meetings, training, workshops, networking, and researches in specific themes in fine arts, photographic arts, religious arts, performing arts and oral traditions of Southeast Asia.